Songs of Innocence or Arrogance? This fall, you may have noticed an album in your iTunes library that you did not remember purchasing: U2’s Songs of Innocence. Music consumers are not only talking about the quality of the music, but about how the album was released. 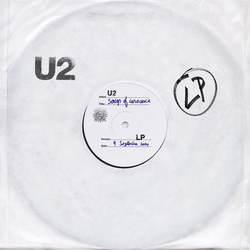 Apple allegedly paid Universal Music and U2 for the exclusive sale and distribution of the new album for the first five weeks after its release. Prior to the group’s performance at the Apple product launch on Sept. 9, there were no advertisements or promotions endorsing their newest album. After being announced, the album was made accessible to over 500 million iTunes customers free of charge. This unexpected action has intrigued many fans, but caused some iTunes users to voice their negative opinions. U2’s actions have been described as arrogant and rude by disgruntled users. They have been confronted for not respecting the interest and consent of consumers. In response to this, iTunes set up a separate website to help customers delete the album if desired. “I’m sorry about that. I had this beautiful idea and we got carried away with ourselves…touch of generosity, dash of self-promotion and deep fear that these songs that we poured our life into over the last few years mightn’t be heard,” lead singer Bono said in an interview with Rolling Stone. In my opinion, U2 has done a wonderful job exploring new ways to interact with consumers. People are bombarded with advertisements every day; this is the band’s way of speaking above the noise. It is not conceited of them to release the album in this way. Apple has made it rather simple to remove the album by setting up a new website. I believe most of the complaints may have come from newer iTunes users, or older users who may not be familiar with the setup of iTunes and how to remove songs. Is this a unique form of marketing or increasing the power and influence of advertisements? Was U2’s decision innocent generosity or an example musicians overstepping fans’ privacy? Whether the fans’ opinions are good or bad, one thing’s certain: U2 has succeeded in catching our attention. Rhythm & News is a regular music news column written by Megan Pritzl, Current Staff.